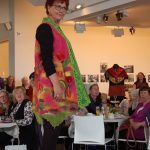 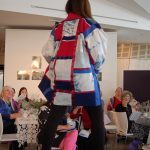 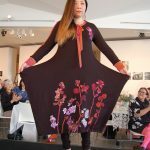 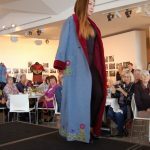 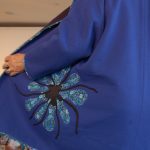 ACTTAA joined forces with Canberra Region Feltmakers to stage the Fibre Couture fashion parade, bazaar and high tea in spring 2017. 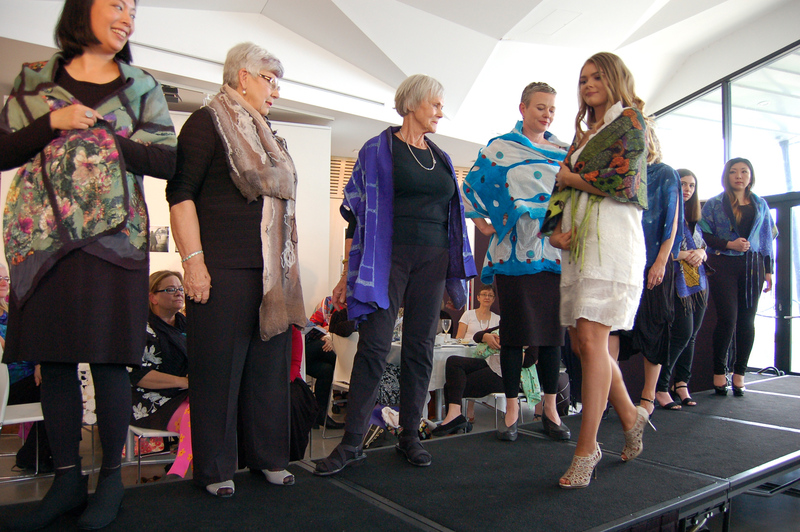 The parade showcased artisan clothes and accessories including hats, fascinators, jewellery and bags, all made by members from the two organisations. 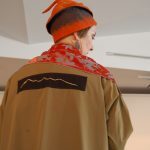 Many different textile fabrication techniques have been used to create the garments, including felting, Shibori dyeing, stamping, bead embellishment and crochet. 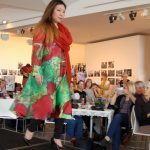 This was the first time the two groups collaborated to present a fashion parade. 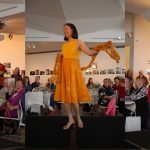 It was held at the Belconnen Arts Centre. 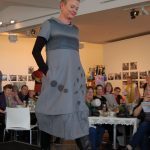 Here are some of the outfits that were shown.